Software for years has been able to apply rhythmic analysis (like looking for transients or guessing at tempo), and frequency analysis (filtering by band). The more recent development involves training algorithms with big data sets using machine learning. That’s commonly called “A.I.,” though of course artificial intelligence makes most of us scifi fans start to think killer robots and Agent Smith and the like – and this isn’t really anything to do with that. Behind the flashy names, what you’re really dealing with is some heavy-duty mathematics. The “machine learning” element means the software that has been trained on pre-existing materials to give you results that are less brute-force, and more what you’d expect musically. What is exciting about that is the results. 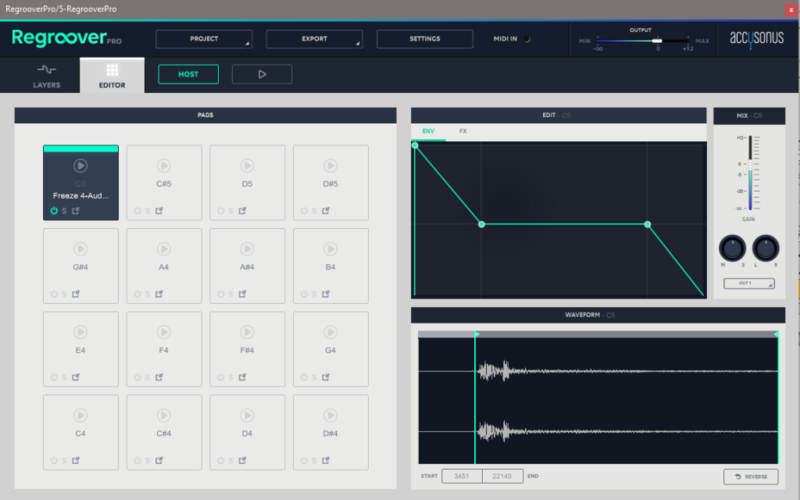 With Regroover, what you get is a tool that analyzes audio into “layers” instead of just transients, slices, and bands. And now, it supports drag and drop into and out of the tool. 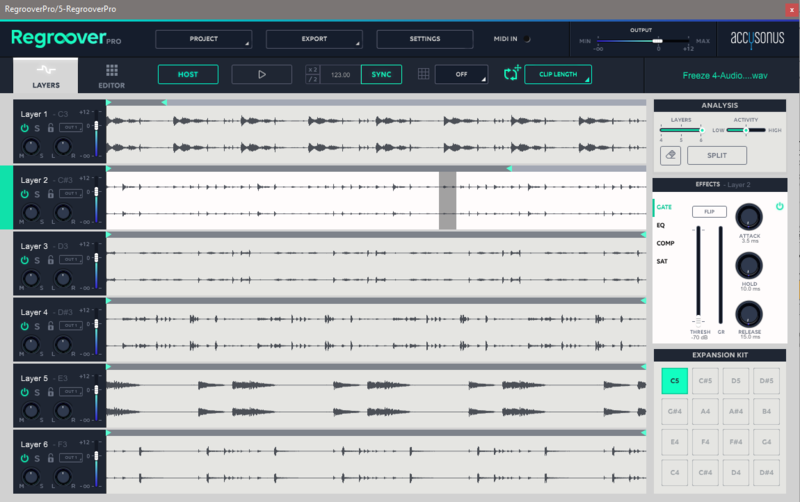 So individual sounds and layers can now be dragged to your host, to an arrangement, or to a sampler – anything that also has drag-and-drop support. Add Regroover to Ableton Live, for instance, and it’s a bit like having a new way to process sounds, on top of the warping techniques you’ve had for a few years. Instead of working with the whole stereo loop at once, you now are presented with various layers – which might separate out a melodic part, or even get as precise as specific pieces of percussion. It’s using time and frequency and that machine learning all at once. Regroover joins a handful of tools providing this sort of “unmixing” capability, with a particular focus on percussive loops. If you didn’t get exactly the isolation you wanted, you can then adjust the density of the layers and run the algorithm again. Or for additional precision, you can select a portion and split the layers based on particular material. Sometimes the “mistakes” are as interesting as the results you’re looking for: you get the chance to unearth portions of a loop you may not have even heard before. Around this layers interface, the developers have wrapped various tools for mixing, processing, and slicing up the resulting materials. You’re given an interface that lets you then adjust the level and panning (both mid/side and left/right) of each layer, which lets you emphasize or de-emphasize parts of the loop. And you can route layers to effects, either in Regroover or by sending to external buses to your host. You can just stop there, or you can take portions of a clip – individual layers, bits of time – and divide them up into pads. There’s a built in drum pad sampler, but now with version 1.7, you can also drag and drop out to your host. In Live or Maschine, to give two Berlin software examples, that means you can then use your favorite sampling tools to work with further. This could mean everything from minor surgery on a clip to isolating individual parts of the groove or even individual percussion parts. I’ve been playing with Regroover for a few weeks. It definitely takes a little getting into, because it is different – and you’re hearing different results than you would with other tools. Yes, there are other remixing and unmixing tools out there, too – and this isn’t quite that. It’s really geared for percussion and loops specifically, and the interface makes it a kind of AI-mad sampling drum machine loop re-processor. The most important expectation to adjust is, this won’t sound quite like what you’ve heard before. Remember when you first played with warping in a tool like Live, ReCycle, or Acid? (Old timers, anyone?) It has that feeling. There are some mathematical and perceptual realities of sound that you’re going to hit up against. You’re pulling out elements of a single audio file, which means because your ears are sensitive, you’ll start to hear the sound as less natural as you process it. The quality of the source material will matter – to the point that Accusonus are even producing their own libraries. On the other hand, that opens up some new possibilities. For one, some of the digital-sounding timbres that result have aesthetic potential all their own. Or, you can look at this as a way not to just extract sound itself, but groove – because the results are very precise about rhythmic elements inside a loop. CDM are teaming up with Accusonus to demonstrate how this works and give you some tips, so we’ll check in again with that. As I see it, you get a few major use cases. People who want to mess with loop libraries. If you’ve got loops that are stereo files, this lets you modify them in ways subtle or radical and make them your own – a bit more like what you can do with MIDI patterns. A way to process your own materials. I’m fond of quoting something I overheard about French cooking once – that the kitchen was all about doing something to an ingredient, then doing something else. So if you’re in the middle of a project and want to take some of the material a different direction, this is a new way of doing that. And I think in electronic music, where we’re constantly getting away from the obvious solution, that’s compelling. A groove extraction tool. Frankly, this works a whole lot better than the groove tools in conventional DAWs, because you can pull out elements of a loop, then use that either as a trigger or work with the audio directly. Creative abuse. 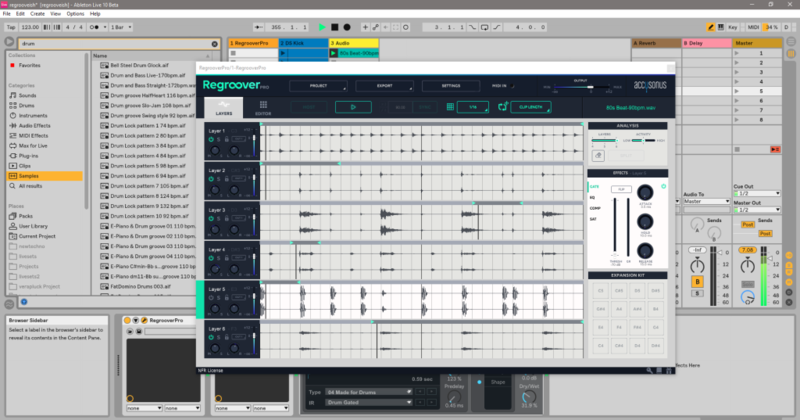 Regroover is really designed for drum loops – both in the interface and the way in which the machine learning algorithms were trained and adapted. But that doesn’t mean you have to follow the rules. Dropping any AIFF or WAV file will work, so you can take field recordings or whatever you can get your hands on and see what happens. There are some strange perceptions you may have of the results, but that’s the fun. Next week, we’ll have a tutorial and a special giveaway so you can give this a try. Regroover is available as a free trial, a US$99 Essentials version, or a $219 Pro version.